Welcoming the future of skin care rejuvenation at Caralyn’s! Our newest product line is the G.M Collin skin care regime known for its advanced mixing of technology and nature. G.M Collin originated in France and moved its way to a Montreal-based company. This amazing product line has a wide range of capabilities from anti-aging products to proper skin protection for every type of skin. 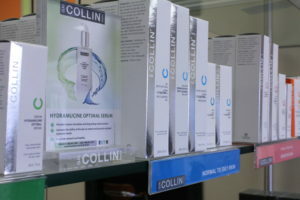 To get your skin care regime started with G.M Collin product’s, visit Caralyn’s, your hair care and beauty product experts! You’ve got your outfit, party plans and the special person you plan to ring the new year in with, but are still unsure about what to do with your hair…well, fear not! New year’s eve may be only days away but we’re here to help. Springy spirals are flirty, fun and perfect for the NYE party scene. Make your favourite childhood hair trend feel totally 2017 by creating an angled part just in your bangs. Regardless of the style you choose make sure that you surround yourself with people you love and will help you create the brightest 2017 possible! 2016 has been a year filled with with many surprises (both good and bad), but at this time of year it’s important to live in the moment and be present with your friends and family during the holiday season. However, since 2017 is just around the corner it never hurts to start looking ahead and planning for the year to come. For the best in these styles and many others make sure to visit Caralyn’s, your Ottawa hair design specialist. We as a people are obsessed with aging..more so, how to reverse its affects in order to look and feel as young as possible. Firstly, it’s important to embrace aging as it means that you have life and have been living it. Secondly, looking your best is something that everyone wants (or should) to achieve, however most people aren’t going about doing it in the most effective way. “What makes a good modern, youthful hair cut? ‘One that doesn’t require lots of madame-y blow-drying,’ says Concalves. As one of the best stylists in the world, he tends to rough-dry as he goes along. Never blow-dry from wet. That’s bad for hair health. ‘Focus on the areas you want to define, rather than on creating an entire head of big hair. If you have a fringe, start there and see where you need to go next. Use your fingers to tweak hair at strategic points that flatter your face and only go for volume where it’s sustainable.’ A great cut takes note of your dress and your personality. 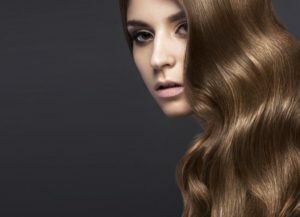 How long is long enough – time wise – to spend on your hair? For the best in modern and youthful hair designs make sure to visit Caralyn’s, your Ottawa hair design specialist! We tend to get caught up in only putting our focus toward the steps necessary to achieve something; outlining a plan and following it explicitly is the usual course of action. However, sometimes knowing what not to do is just as important as what to do itself. In fact, in can help to streamline the overall process in order to reach your achievement that much faster. 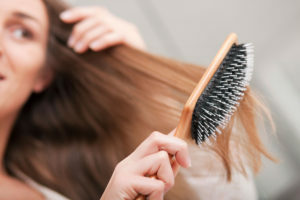 When it comes to hair styling and maintaining your hair, regularly visiting your Ottawa hair stylist should always be a part of your regimen, but you’d be surprised what a top hairstylist has recommended shouldn’t be. “According to power hairdresser George Northwood, we’re actually shooting ourselves in the foot by brushing our hair. Speaking to Vogue , George explained his reasoning. He also suggests to “Sleep with your hair in a bun at the nape of you neck, pinned to keep it secure. Of course, everything is ultimately dependent on many factors ,with the main one being your particular hair type. At Caralyn’s we’ll give your hair and scalp a thorough assessment in order to determine the best way to keep your hair looking and feeling it’s best. The holidays are literally right around the corner, amazing how time flies, isn’t it? Besides finishing gift shopping (or just starting) another thing which people have to think about are the parties they will be attending during the season, which means looking the part. Since hair plays an important part of one’s overall look, we thought it best to provide some holiday hairstyle inspiration. Here are some styles to consider this season. Mussy side buns are also popular, but your hair needs texture to get the mussy look. 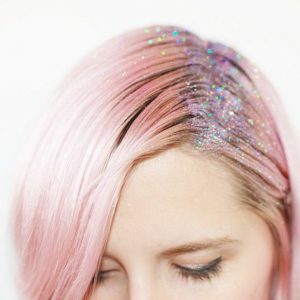 Create texture with lots of dry shampoo. You can also back comb hair so it get big, big, big. Work with hair that’s not been freshly washed so it doesn’t slip around on you. Backcomb the ponytail so it maintains it’s texture. Spray hairspray on hair so it holds. Great if you have long hair with layers. Make sure to wind the hair around the brush to get big waves. Or, you can use fat curlers to achieve a similar affect. Let us here at Caralyn’s your Ottawa hair design specialists help you achieve these looks and more in order to get the right holiday hair. Everyone’s hair is different; some have thicker more fuller locks, while others may have hair which is a bit thinner. In either case it’s more so about how you take care of the hair you have (meaning consulting with your Ottawa hair design professional and determining the best way to keep it as healthy as possible). 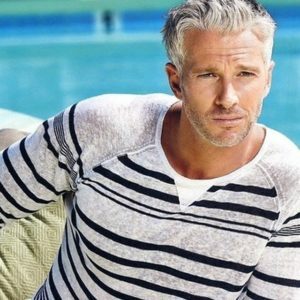 A classic chop, regardless of whether your hair is dark as night or white as new-fallen snow, the side-part can work for any guy, regardless of age. Just because you’re older, doesn’t mean you can’t have a little fun — especially if your locks are thinning. In fact, for guys whose once-thick hair has now started to scatter, adding a touch of playful choppy texture to a shorter cut can actually make a mane look fuller. Regardless of the style you decide upon, always love your locks and choose a design that serves to enhance your own unique and personal style. When it comes to businesses and their respective consumers, the ways in which each particular group thinks can vary, which can sometimes cause challenges between the groups. In order to facilitate the best type of communication and get everyone on the same page, it’s nice to know how the other group thinks and try to do things with their perspective in mind. When it comes to the world of hair styling and design, what a client wants and the final product they receive can vary greatly because of many factors. If a client brought in an image of their favourite celebrity’s hairstyle that they wanted replicated for them, they may not be happy with the end result due to differences in face shape, hair texture, etc.. The stylist would then have to create a variation of that style that would best suit the client in order to create a styled look that works. “Is texting during a hair appointment okay? Tran: I personally don’t mind texting! Abrio: Being on the phone texting during an appointment is such a common thing now. I think if you’re in the middle of a conversation, it’s rude, but if it’s not affecting the stylist and their work, it’s fine. 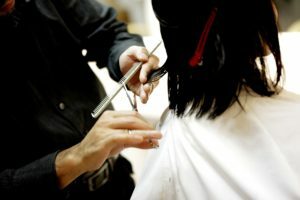 Stenson: If the client is the one texting, my policy is that it’s his/her time to do with what they will—as long as it doesn’t interfere with the cutting/styling process. Monzon: Texting and cell phone usage has changed the way hairdressers work. Timing is important. For example, if you’re getting color applied, most likely it’s fine. If you’re getting a sharp, one-length haircut where the balance is important, then it’s definitely not a good time to be chatting or texting. But being in the salon, you should use the time to unplug, relax, and enjoy the experience of being taken care of. What should a client do if they are unhappy with your cut or style? Tran: It differs from person to person and how big of a change they are making, but telling me immediately so I can fix the problem is usually best. Abrio: If a client is unhappy with their service they should definitely speak up. Even if a client calls up two weeks later, they should feel comfortable calling and speaking up. Trust me, we’d rather make you happy than lose you as a client… most of the time. Stenson: If clients aren’t happy, I’d advise them to speak up immediately so the issue can be resolved. Clients should never leave the salon unhappy. Ultimately the most important thing is for both parties to be mindful of each other in order to facilitate the best experience possible. Most people have heard (and experienced) hat head/hair; when after wearing a hat for a prolonged period of time, the way that your hair was initially styled becomes altered and sometimes frayed and erratic looking. It’s something that is common and can be easily fixed for the most part, once the hat is removed. But, what about headphone hair? Wearing over the head style headphones have been proven to cause similar issues. And for earbud headphones, there’s a style for that too! 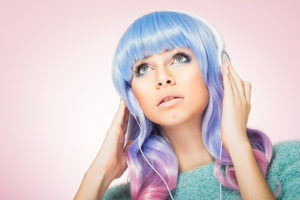 You can see some of these headphone wearing hairstyles being created here. To get something similar for yourself, make sure to consult with your Ottawa hair specialist! It’s that time of year again…halloween! A day when you can dress up as your favourite superhero, ghost, ghoul, witch or just about anything really. In order to really take your costume to another level, it’s important to ensure that your hair fits the role as well! This famous Egyptian queen is instantly recognizable by her sleek dark bob and front braids – plus, of course, her over the top bling! The hairstyle is super easy to recreate; keep it straight and sleek. While you can always opt for a black-and-white wig, it’s actually easy to get Cruella de Vil’s infamous hair without the itchy extra: all you need is some black and white colour hairspray. For more unique halloween inspired designs click here and to have a professional hair stylist help you bring some of these styles to life make sure to visit Caralyn’s, your Ottawa hair design specialist.